Get the TP-Link Deco M5 WiFi Mesh with 1Gbps fibre broadband now! Get the TP-Link Deco M9 Plus WiFi Mesh with 1Gbps fibre broadband now! Reliable coverage and performance, Unique usage time tracking features and monthly reports, Low price. [TP-Link] Deco is attractively priced with a good set of features. A mesh network consists of several routers, called nodes, that communicate with each other to amplify the WiFi signal in your home. One node is connected to the internet via your Optical Network Terminal (ONT) and as more nodes are added, they communicate with each other to expand the wireless coverage throughout your house without reducing the speed. 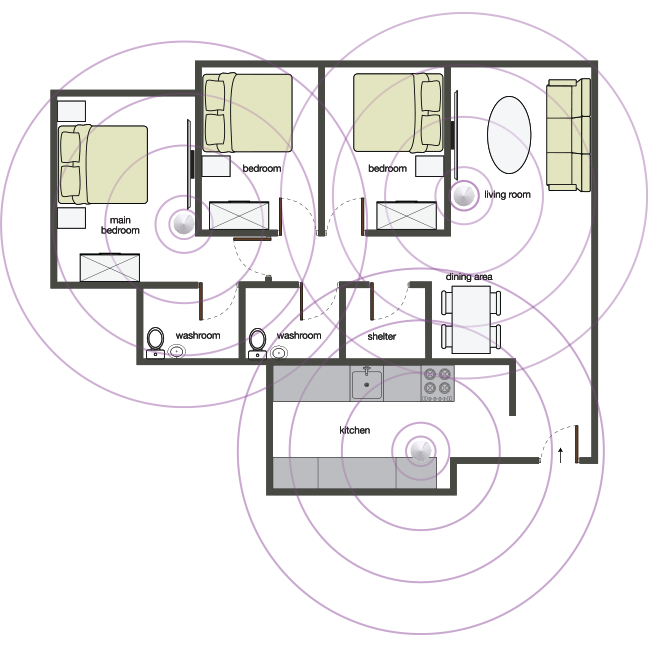 Why would I need a WiFi mesh network? If you experience poor connectivity in certain parts of your home, a mesh network can help to eliminate these WiFi dead zones. The best thing about it is that there is only one service set identifier (SSID), or WiFi network, so you can move around your home without being cut off from the internet as your device connection switches between nodes. Overcome WiFi blind spots by setting up the Deco units across your home. 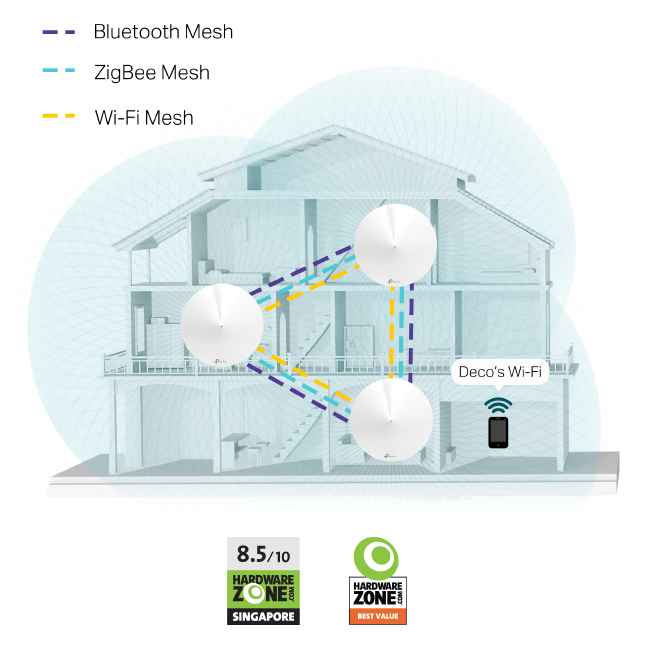 With the latest WiFi Mesh technology, each Deco unit connects to and supports another, forming one seamless network across your home. Expand your coverage as needed by setting up more units. Powered by TP-Link’s own Adaptive Routing Technology, the Deco WiFi Mesh delivers the fastest wireless speeds by balancing network demand and finding the best path to send data to each device in your home. Enjoy improved WiFi coverage and better wireless performance. The Deco mobile app (available on both Android and iOS) can enable you to set up and optimise your home WiFi network in just a few minutes. Simply download it and follow the step-by-step guide. The app will even show you where to place each Deco unit for optimal WiFi coverage. Now there’s no need to buy a separate security system. Deco automatically protects every wireless device in your home with TP-Link HomeCare. Powered by Trend Micro, HomeCare features robust parental controls, anti-virus and Quality of Service (QoS) management tools. Which WiFi Mesh Solution is suitable for you?